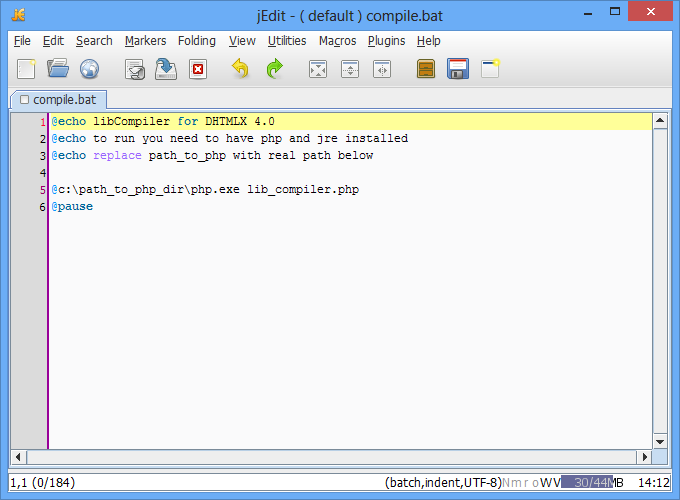 LibCompiler is a special tool that makes the process of compiling a package easier and handier. finally, the sources directory contains the library’s source files and the very libCompiler which all of you like so much. That’s all, now you can run the compile.bat file. Pay attention that it’ll rewrite js/css files and images in the codebase directory. Delete the content of the codebase directory: all files and subfolders (not the directory itself!). Then libCompiler will create the necessary subdirectories and write the needed files. Reproduce all the steps from the Part 1 with the file compile_debug.bat. 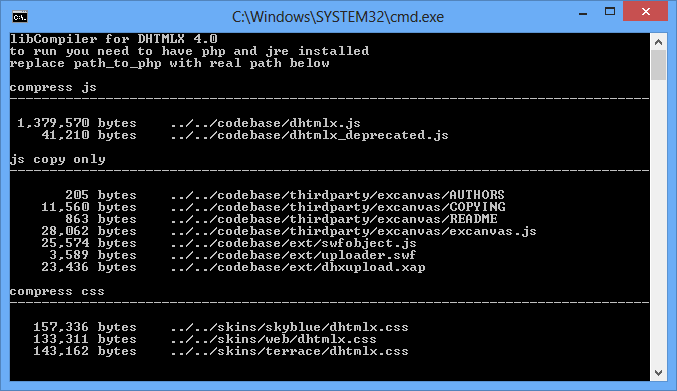 This file will make the same compilation, as in the part 1 and create the dhtmlx_debug.js file additionally. Run the compile_debug.bat file and when its execution finishes, the file dhtmlx_debug.js will appear in the codebase directory. The dhtmlx_debug.js file has the same components while the markup is preserved, which is rather handy during the debugging. 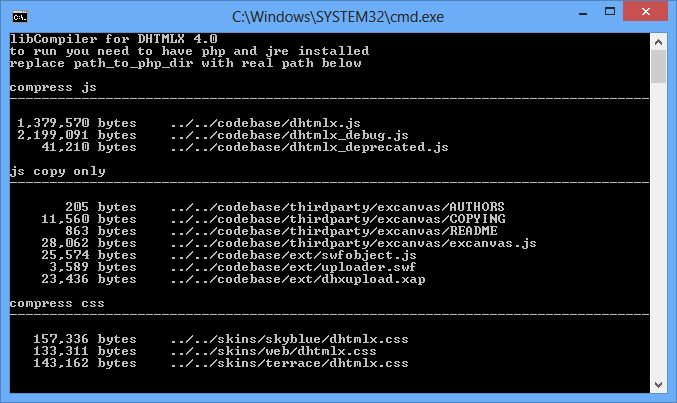 Also you need r/w access for codebase and skins dirs. libCompiler will recompile dhtmlx.js and dhtmlx.css files with your changes. 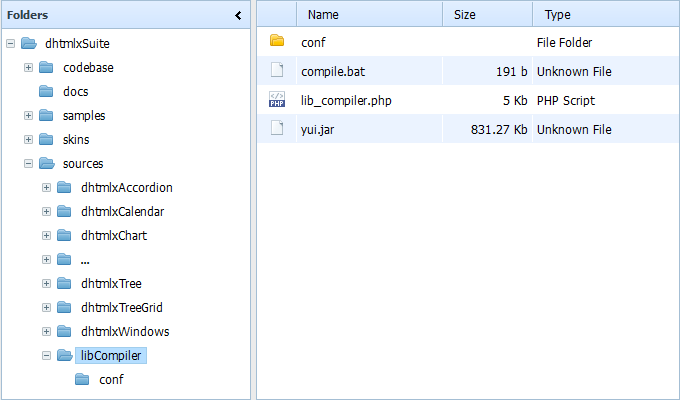 dhtmlxcontainer.js is required for tabbar, layout, accordion and windows.